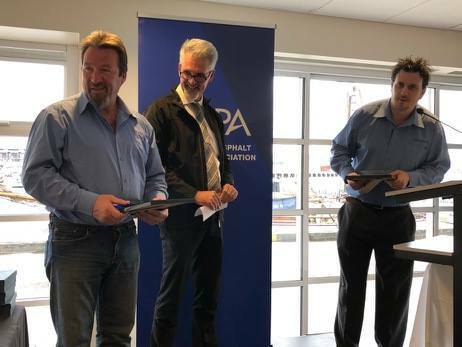 Congratulations to the 2018 AAPA Tasmania State Industry Award Winners. 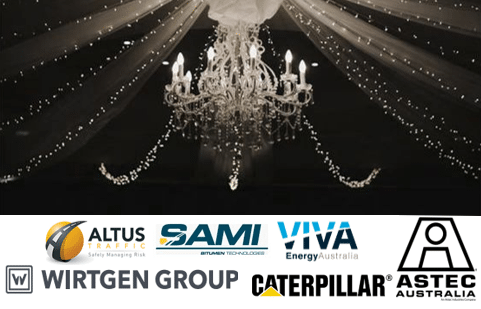 Recently over 50 members and their partners from the flexible pavements Industry came together for the Annual Tasmanian State Gala Dinner and Industry Awards. 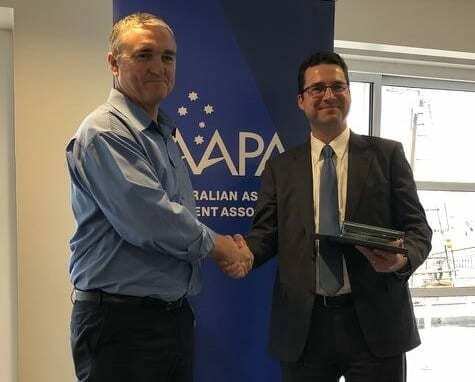 The AAPA 2018 Tasmanian Safety Initiative Award is awarded to Nathan Wilson, Downer. The AAPA 2018 Tasmanian Outstanding Project Award winner is Hardings Hotmix for the Burnie Tennis Centre – Court upgrade. This year we have joint winners for the Road Worker of the Year Award in Tasmania. 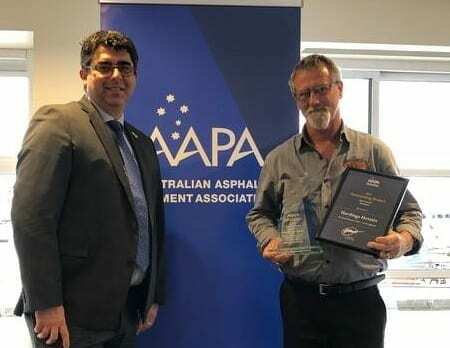 Our AAPA 2018 Tasmanian Road Worker’s of the Year are Greg Cox and Daniel Davey, Venarchie – A division of Fulton Hogan. 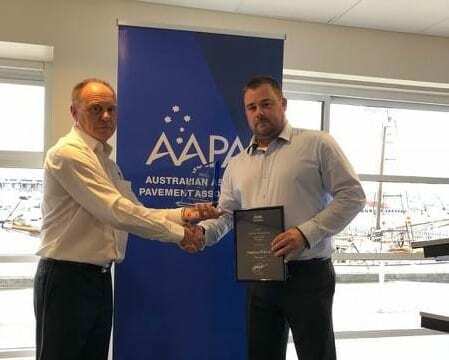 The AAPA 2018 Tasmanian Award for Innovation in Design, Process or Product has gone to Venarchie – A division of Fulton Hogan for the DSG Pavement Resurfacing 2017-18 North Project (Bituminous emulsion surfacing treatment).